0 years on from the first, groundbreaking, Planet Earth, we use the most incredible advances in technology and scientific discovery to bring you the most exciting and immersive picture of our world’s wildlife yet. With over 250 breathtaking photographs and stills from the BBC Natural History Unit’s spectacular footage, this is an extraordinary new look at the complex life of some of the most amazing places on Planet Earth. Each chapter reveals an environment – some never-before-seen, some astonishingly familiar – defined by a unique set of rules required for survival. From the most desolate desert to the depths of the jungle, from blistering heat and freezing cold to perpetual darkness and deadly UV, discover how a whole host of creatures have adapted to life in the most extreme conditions. And how they compete with one another to become the largest, the fastest, the most poisonous, or most devious – all in a bid to survive. 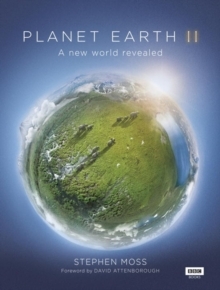 Planet Earth II includes the first in-depth look at the urban environment, and the surprising range of behaviours occurring right under our noses, as well as some previously untouched island worlds. Filmed with remarkable 5k and infra-red technology, these are the challenges, the confrontations, and the triumphs of some of the most extraordinary creatures in the natural world, told from their perspective. This is our planet, as you have never seen it before.